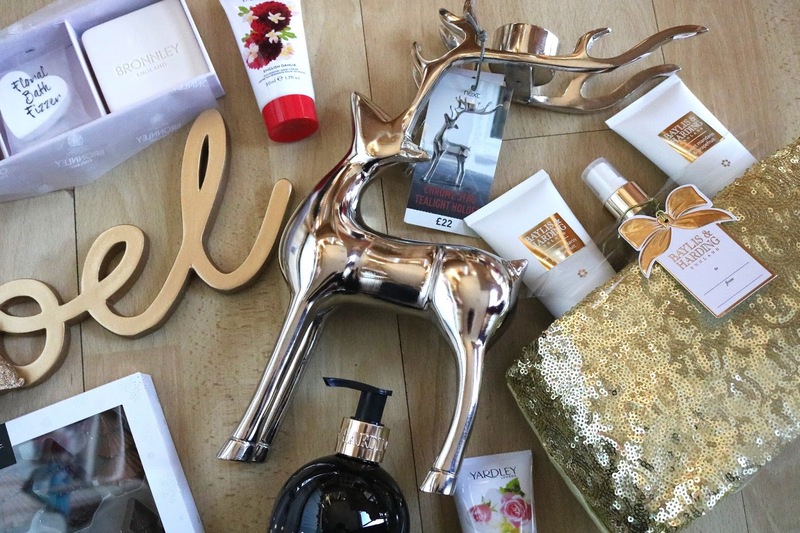 Welcome back to my second Christmas gift guide! If you missed my first one on gifts for friends and sisters, you can take a look at it here. There's also one on mums too with a little giveaway at the end, as well as one for the men in your life that are hard to buy for and last minute stocking fillers. This guide is focussing on grandmas and mother in laws! This group is more likely to have sophisticated traditional tastes and can sometimes be very particular in what they like! If you know their taste, go in the direction of homeware and beauty products in their favourite scents. 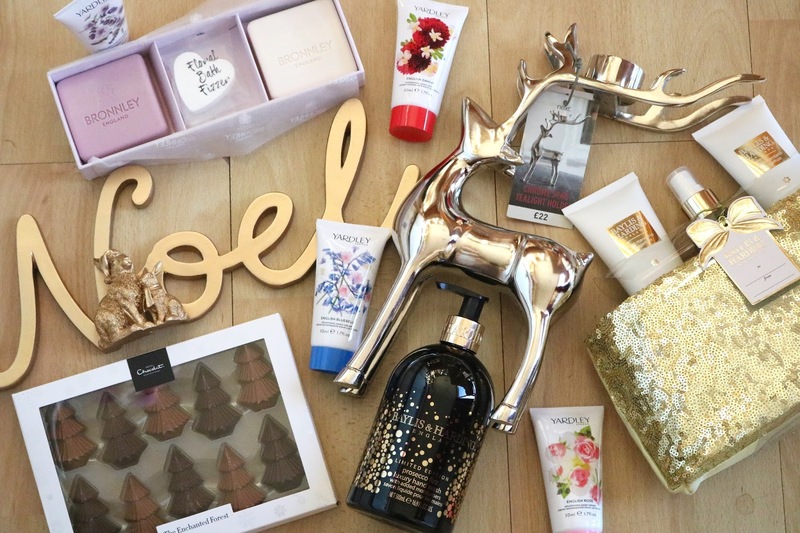 There are loads of products on the market at the moment that look really luxe for an affordable price, as well as gift sets that contain loads of products for half the price they normally would be. So if you're looking for some ideas for your grandmas and mother in laws that you may not have thought of, keep reading! This time of year, everyone loves to decorate in time for Christmas, be it with just the tree or by going all out with lights, tinsel, ivy, sparkle- the lot! One gift that would work for both types of people is festive themed homeware. If I could, I would kit my whole home out in Next homeware, and their Christmas decorations do not disappoint this year. You can easily spruce up your home with fairy light trees, animal ornaments, festive signs and personalised baubles. This stag tealight holder would make the perfect centrepiece on the table for Christmas dinner, or on a mantlepiece decked out with ivy. 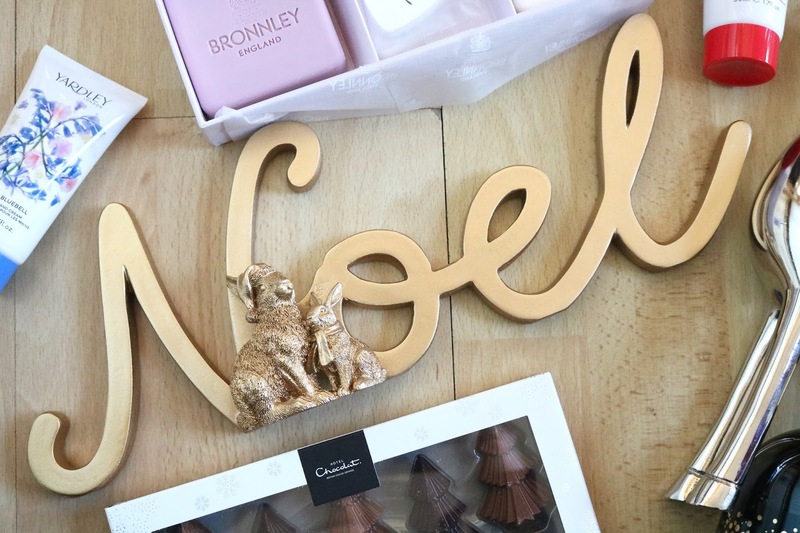 It'll also look great alongside this gold Noel sign, and going with the animal theme it has these cute rabbits in Santa hats! Both are pretty big too so you can be decorated around really easily. 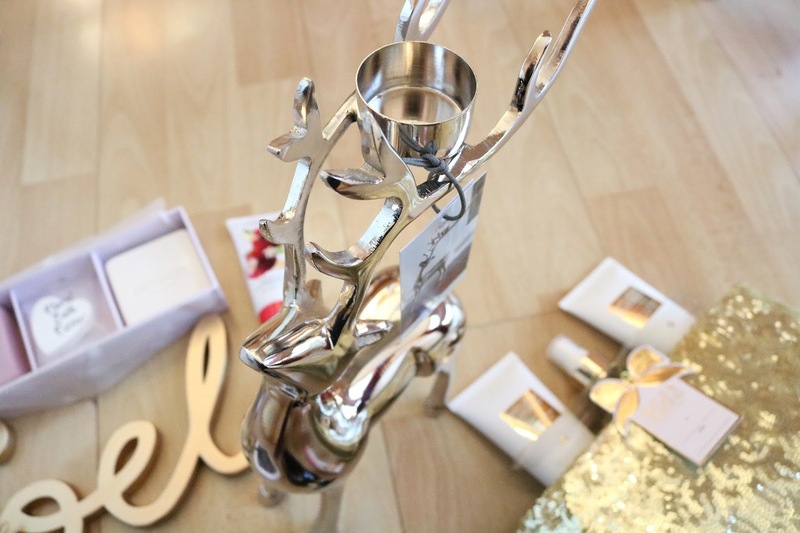 The stag tealight holder is sadly out of stock but there are plenty of similar stag decorations for you to choose from. You can always find a good beauty set for any female family member, but ones for grandmas and mother in laws are more likely to be floral scents and moisturising pampering treats. This time of year with the cold weather drying out skin, you can never have enough hand creams and bath products! To help with tackling dry cracked hands this Christmas, why not get them a little selection of hand creams to choose from? 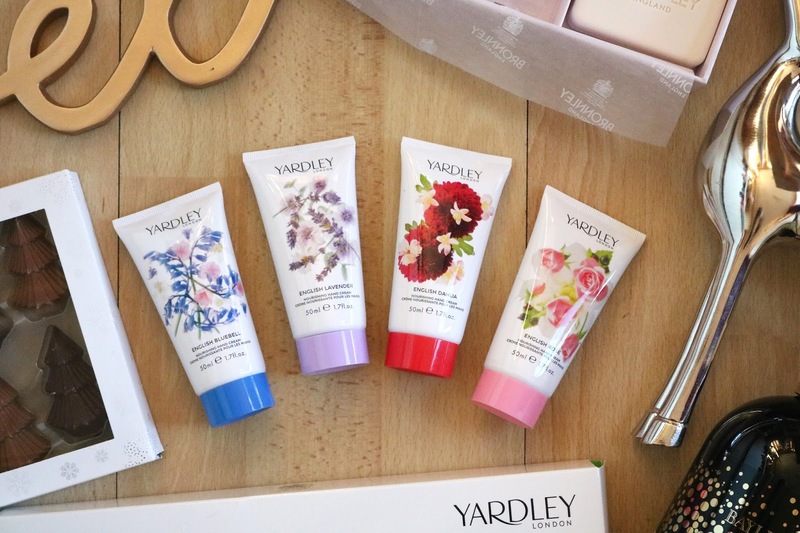 This Yardley hand cream selection comes in four classic scents: lavender, rose, bluebell and dahlia, and smell amazing! They're also really thick and luxurious to apply and are really nourishing due to the shea butter in them. They're small enough to pop in your bag for on the go and the beautiful packaging means it's easy to find in a full handbag. How about treating them to a bathtime treat with some gorgeous smelling soaps and bath fizzers? 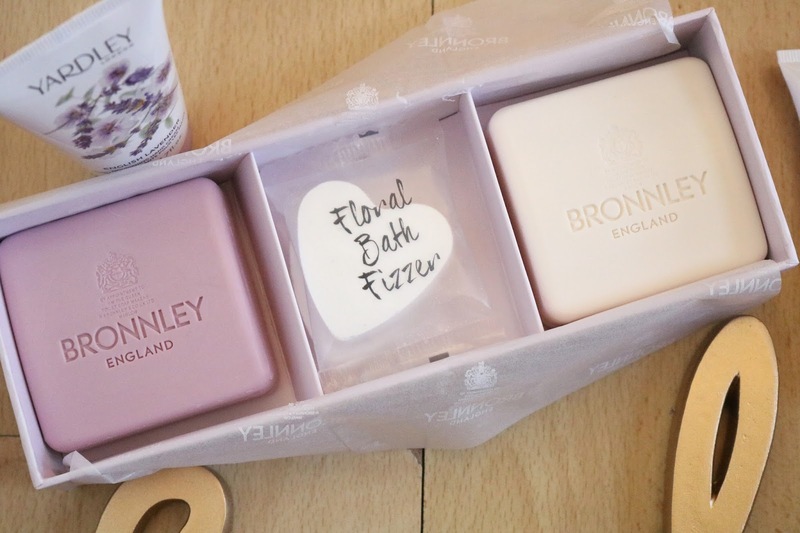 Bronnley have some fab sets available including this Iris and Wild Cassis, and Pink Peony and Rhubarb one that will fill any bathroom with the most incredible smell. Believe me, if this was a perfume I would be buying it! The two soaps create a great lather and are cleansing without drying out the skin, so they are good enough not only by the sink but also to use in the shower, while the bath fizzers add a stunning floral aroma in your bathroom. If solid soaps aren't to someone's taste, they are some really luxe liquid hand soaps out there. When you have something you use every day, it can be nice to add a little luxury to it every now again. 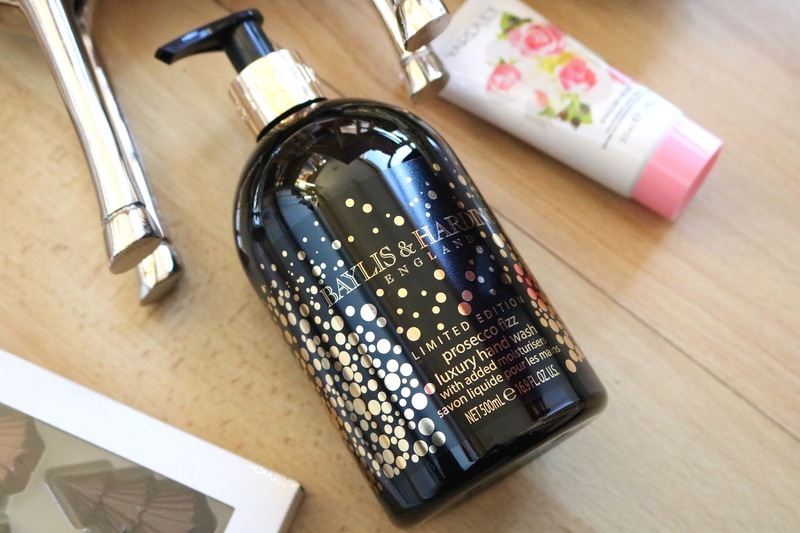 Hand soaps can be boring, but not if they're as cool as this one from Baylis and Harding. Christmas is the best time to treat someone. You have the obvious selection boxes, but if you're looking for something a bit different there are lots of luxury chocolate brands that have gift sets available for the chocolate lovers in your lie. Hotel Chocolat always have great chocolate sets and this year they do not disappoint! 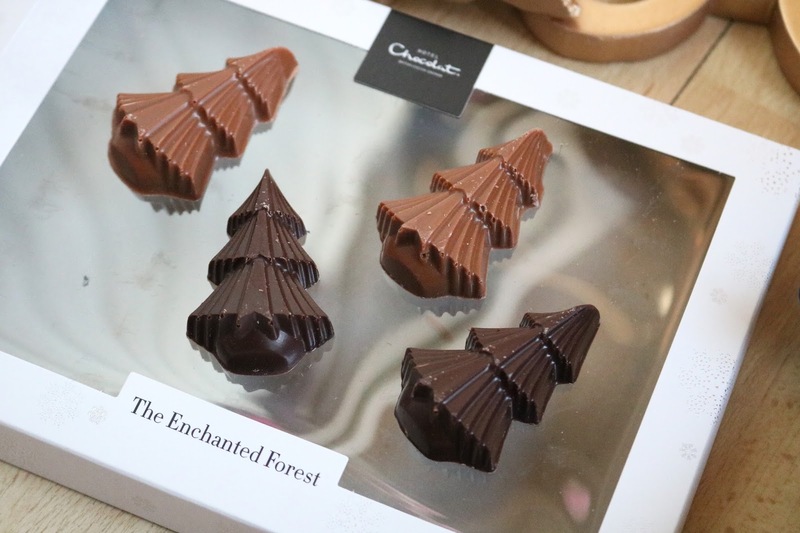 Their Enchanted Forest set is a real treat, with 10 caramel and milk chocolate Christmas trees. Also with their mix and match deal you can buy 3 or more items for £6 each, meaning you can treat someone to a great selection. If you're looking for some other chocolates to add to your mix and match deal, take a look at my gift guide for mums and men that features some more Hotel Chocolat goodies. Those are my gift picks for your grandmas and mother in laws! I'd love to know what you think of any of them, and if you have any of your own ideas do let me know. Again thank you to all the brands who sent me gifts to feature! FRIENDS AND SISTERS + A GIVEAWAY!